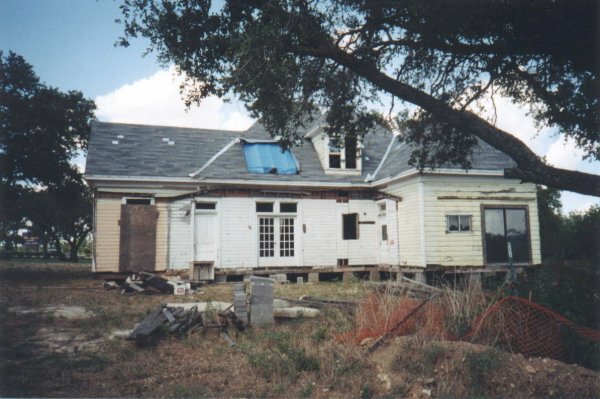 This is the rear of the Leatherface sister house. Unfortunately, the back porch is not here. Although I hope it will be rebuilt. Notice the rear sliding doors on the right. These are not the original doors - there used to be only windows on that wall.